Recycled White Kraft Jewelry Boxes. Boxboard consists of 100% recycled materials - on average 80% is post consumer. Non-tarnishing ultra white eco filler is 100% recycled. Paper wrap material is 100% recycled. 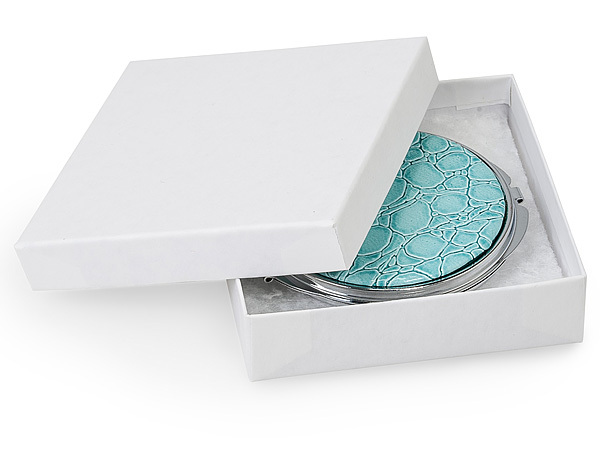 All jewelry boxes are two piece rigid setup boxes. Made in the USA.